Exemptions, once granted, are shown on your property tax bill. You may view which exemptions are currently granted to your property by going to the Property Data Page on this web site and displaying your property. Click on the Tax Bill Data button and you will then be able to view the exemptions granted for your property. Process: When a qualified residential property is completed and occupied, our office automatically processes that property to receive the residential homestead exemption. No action is required of the property owner. Once granted, the exemption renews automatically each year. Effect: The Residential Homestead Exemption exempts $5,500 (for 2008), $6,000 (as of 2009) of assessed value. This translates into an approximate potential tax savings of $250.00 to $450.00 depending upon the local tax rates where the property is located. Process: When the improvement is completed, our office will send out a field inspection team and confirm the nature and extent of the improvement. Our office will then calculate the assessment increase and post it on your property record card. The exemption amount will match the assessment increase amount. The exemption amount is limited to a maximum of $25,000 per property at any one time. No action is required by the property owner. Effect: The Homestead Improvement Exemption exempts from taxation that portion of any assessment increase caused by the improvement made to the property. The exemption amount is limited to a maximum of $25,000 per property at any one time. The exempted amount is valid for 4 years only. This translates into an approximate potential tax savings of up to $2,000 each year for a period of 4 years. The exact amount varies based on local tax rates and the amount of the exemption. Property must be owner occupied by the disabled veteran, the disabled veteran’s spouse, or the surviving unmarried spouse of the disabled veteran as of January 1st of the eligibility year. Owner/occupant must be a disabled veteran who has served in the Armed Forces of the United States and who has acquired, in connection with that service, a disability of such a nature that the Federal Government has authorized payment for purchase or construction of specially adapted housing as set forth in the U.S. CODE TITLE 38, Chapter 21. Process: File a copy of certification on an annual basis with the Supervisor of Assessments Office. Effect: The Disabled Veterans Exemption exempts up to $70,000 from your property’s assessed valuation each year. This translates into an approximate annual tax savings of up to $5,600 depending upon the local area tax rates and the amount of the exemption. Must be an Illinois resident who has served as a member of the U.S. Armed Forces, Illinois National Guard, or U.S. Reserve Forces and returned from active duty in an armed conflict involving the armed forces of the U.S. Process: File all documents along with the application with County Supervisor of Assessments. Application forms may be obtained from that office. FILING DEADLINE IS OCTOBER 1ST. Effect: The Returning Veterans Homestead Exemption provides a one-year only $5,000 exemption off the total assessed valuation in the taxable year that the veteran returns. This translates to a one-year only tax savings of approximately $250 to $400 depending upon the local tax rates. 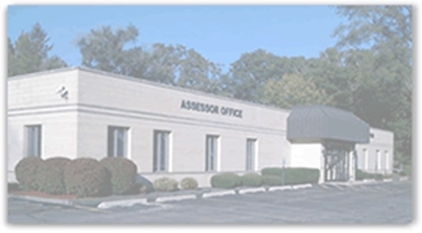 Process: File all documents with County Supervisors of Assessments Office. The application form may be obtained from that office. This translates into an approximate annual tax savings from $115 to $428 depending upon the local tax rates. Must be disabled or become disabled during the assessment year. Effect: The Disabled Persons Homestead Exemption provides an annual $2,000 exemption off the total assessed value. This translates into a tax savings of approximately $95 to $170 depending upon the local tax rates. Must be an Illinois resident and occupy a residence in Illinois. Process: Call our office to make an appointment to bring the required documents into our Assessor’s Office. We will assist you in completing the application. Applications are ONLINE ONLY, no mail-in applications allowed. FILING DEADLINE IS DECEMBER 31st. Effect: Discount on license plate fee and free transit ride card. Benefits are good for two years. The two-year period starts at the time you are approved for benefits. You may file again up to 90 days before your benefits expire. Process: Call our office to make an appointment to bring the required documents into our Assessor’s Office. We will photocopy all documents and notarize your signature. Every year thereafter, you will receive a renewal card, you must sign and return it to the County to continue to retain this exemption. The exemption amount will be pro-rated if the senior moves into the home during the year. This translates into an approximate tax savings of between $200.00 and $500.00 depending upon the local tax rates. Process: Call our office to make an appointment to bring the required documents into our Assessor's Office. We will photocopy all documents and return the originals to you. We will ask you to sign the application form and will notarize your signature. All information is kept strictly confidential and is not part of any public record. Effect: The Senior Assessment Freeze provides an exemption of assessment increases, except for new additions to the home, for as long as you continue to qualify for the Assessment Freeze. If your assessment is increased by $4,000 then your exempted amount is $4,000. If the assessment is increased by $10,000 then the exempted amount is $10,000. This has the effect of "freezing your assessment," but note that your tax bill can still increase if the local taxing bodies serving your area choose to increase their tax rates. Proof of Age: Driver's License, Birth Certificate, Passport, State I.D., etc. Process: Call our office to make an appointment to bring the required documents into our Assessor’s Office. We will photocopy all documents and return the originals to you. We will ask you to sign the Tax Deferral Application Forms and will notarize your signature. Filing starts February 1st - March 1st. Effect: If you qualify, and choose to defer, the property taxes will be paid by the State of Illinois and treated as a loan to you at an interest rate of 6%. A lien will be placed against the property but the loan is not required to be paid off until the death of the property owner or the sale of the property. In DuPage County, the deferral amount cannot exceed $5,000 per taxpayer. The taxpayer will be responsible for taxes in excess of the $5,000 limit. The property taxes can be deferred every year, provided you continue to be eligible, but the maximum total that can be deferred (including interest) is limited to 80% of the taxpayer’s net equity in the property.